The variety of wildlife species in India is amazing. If you are a wildlife lover, you'll definitely want to spend more and more time in the dense jungles of India. The national parks and wildlife sanctuaries of India don't just attract wildlife lovers, but they are also a regular haunt of naturalists, researchers and ornithologists. The central part of India is where you'll be able to spot a wide range of fauna and flora. Royal Bengal Tiger, deer, Indian lion, leopard, sloth bear and Indian elephants are some of the most commonly spotted wildlife species in central India. The 'Wildlife Tour of Central India' begins with a full day of sightseeing in Old and New Delhi where you'll visit a number of Mughal-era buildings and view the modern-day architecture. 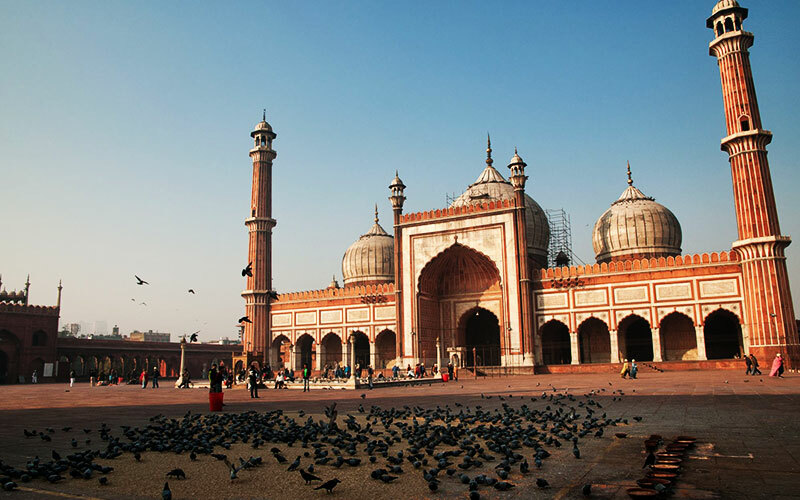 Jama Masjid, Red Fort, Humayun's Tomb, Qutub Minar and the Raj Ghat are the key highlights of the sightseeing trip. Next day, catch your train to Katni from where you'll drive to Bandhavgarh, which was the hunting ground of Maharaja Rewa at one time. 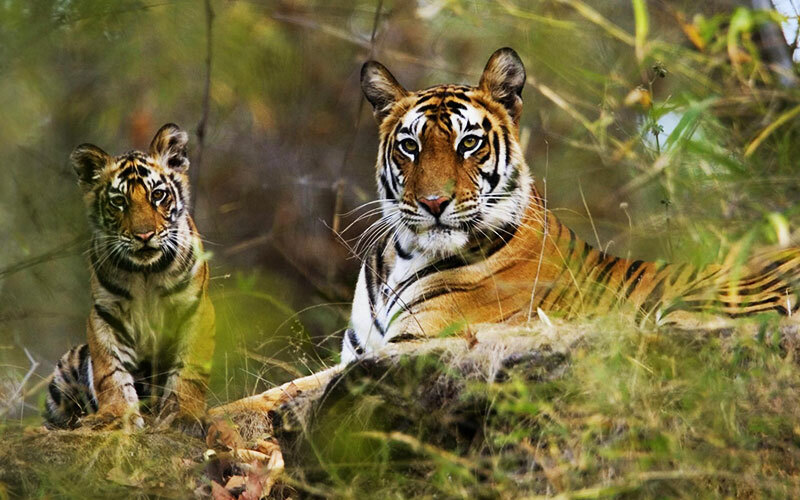 The Bandhavgarh National Park is particularly known for being home to a good number of Royal Bengal Tiger. So, get ready for an open jeep safari into the dense forests of the national park. You'll have plenty of time to explore almost each and every corner of the Bandhavgarh National Park. Next day, drive to yet another haven for diverse wildlife species – Kanha National Park. Enjoy an adventure-packed jungle safari and view a wide variety of animals and birds in the forests of Kanha. Get back to Delhi. A warm welcome is waiting for you at the Delhi International airport by a representative of Max Holidays & from there you will be transferred to your designated hotel. Overnight stay will be at Delhi. 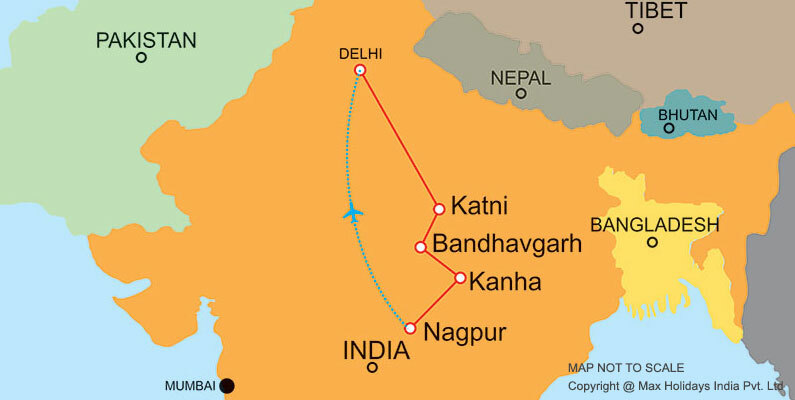 Meet and assist upon arrival at Katni train station and we will drive to Bandhavgarh. It was a hunting ground of Maharaja Rewa, and have always been the highest density park where the Bengal Tigers are easily seen. Upon arrival in Bandhavgarh, check into your resort and recover from your long journey. Morning and afternoon jungle safari by jeep at Bandhavgarh National Park. The safari will take place in a four wheeler open jeep, along with the naturalist, who is like experts here; he will know each and every path. His eyes are so sharp that he will get to see you the big chameleons on the trees, pugmarks of the tiger, variety of flowers, birds. It will be a totally different experience with the rising sun and chirping of birds. After early breakfast drive to Kanha National Park the - wildlife haven, and one of the biggest wildlife park. The way from Pachmarhi to Kanha will be a picturesque way with a lot of natural view to entertain you all the way. Upon arrival in Kanha, check into hotel. Rest of the day is at leisure. Overnight at the hotel. Morning & evening enjoy the Jungle Safari by jeep at Kanha National Park. 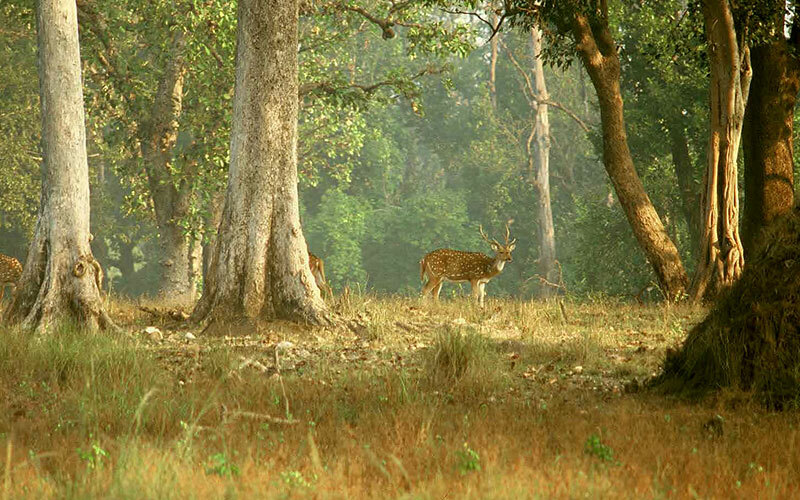 Kanha offers wide range of wildlife and fauna. Mainly famous for its Hard Ground Barasingha or Swamp Deer, which were in extinction, other species like tiger, leopards, wild dogs, wild cats, foxes and jackals are found easily here. Overnight at the hotel. 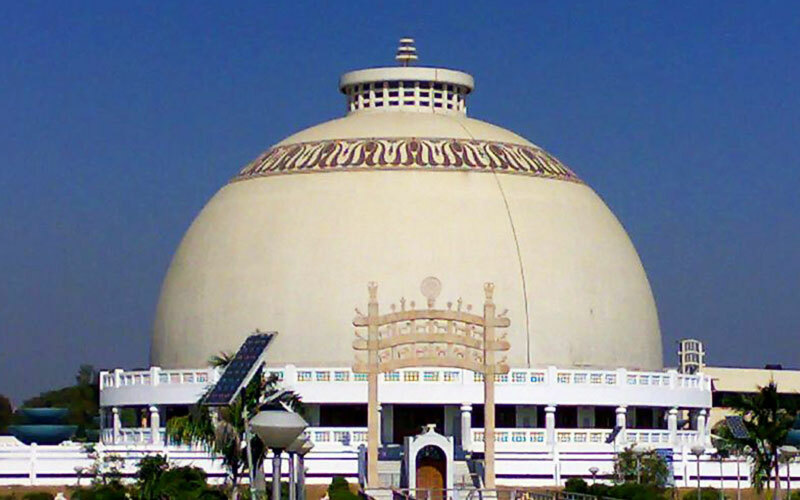 After a leisurely breakfast, transfer to Nagpur airport to board flight to Delhi to connect your flight back to home. 01 nights in handpicked hotels, 01 night aboard to air conditioned train, 05 nights in a jungle lodge.